"Bringing World Class Jazz to Our Community!" Time moves fast when you're having fun. 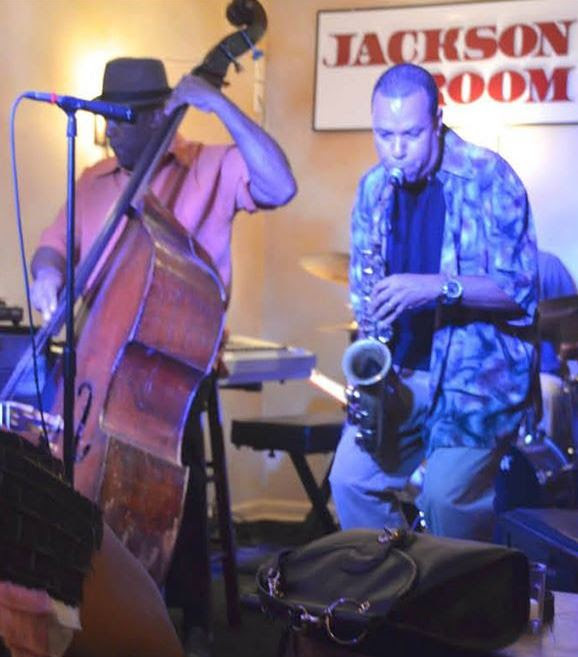 It is hard to believe it's been almost 5 years since we've embarked on "bringing world class jazz to our community" at Jackson Room. My staff and I would like to thank you and all those who have supported our efforts to bring outstanding jazz back to the Southeast Queens community. It's been 5 years of some amazing performances by great jazz artists who hail from places all over the world. We've been honored and blessed to be able to showcase some of the best jazz artists available today to do performances. These amazing artists have been both our special guests and regular featured quartet musical members. We thank these incredible artists for their profound and soulful interpretations of jazz music. To show our appreciation for your inspiring patronage we've put together a world class ensemble of jazz artists to entertain you Saturday, June 24th, 2017. Don't forget the response to this 5th Year Anniversary will be strong so why don't you secure your seat by reserving now? Come on out and experience this important occasion only made possible due to your invaluable patronage. Make your Reservation now. "Celebrate 5 Years of Jazz"
P.S. If you or someone you know would like to host your event at the Jackson Room, let us know. 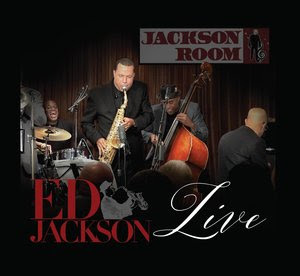 If you'd like to enjoy the Jackson Room musical experience, at home or on the go, why don't you order the Ed Jackson Live CD (at the Jackson Room)? Don't forget to support jazz in Queens by sharing this email with someone you know. 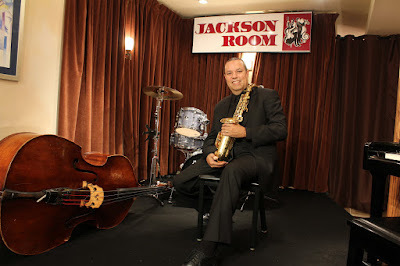 Hi, It was a real blast performing with the Ed Jackson Quartet, again in front of our home crowd at the Jackson Room! There is something truly uniquely moving and motivating about the electric chemistry between the quartet and our loyal supportive patrons like you at Jackson Room performances. world class jazz back to our community." Our next performance this, Saturday, May 27 2017, aims to be even more uplifting reflective of the warming trend in the seasons. "April showers give way to May flowers" goes the old adage. So why don't we bring in this change in our seasons together with invigorating musical motivations? Don't miss it. Let's bring in the change in seasons on a high note! We've put together a world class ensemble of jazz artists to entertain you Saturday, May 27th, 2017. If you'd like to enjoy the Jackson Room musical experience, at home or on the go, why don't you Click Here To Order It Now. (at the Jackson Room)? Don't forget to support jazz in Queens by sharing this blog with someone you know. Thank you for your continuous support. Due to loyal supporters like you our last performance "Fall 4 Jazz," was another sellout success! 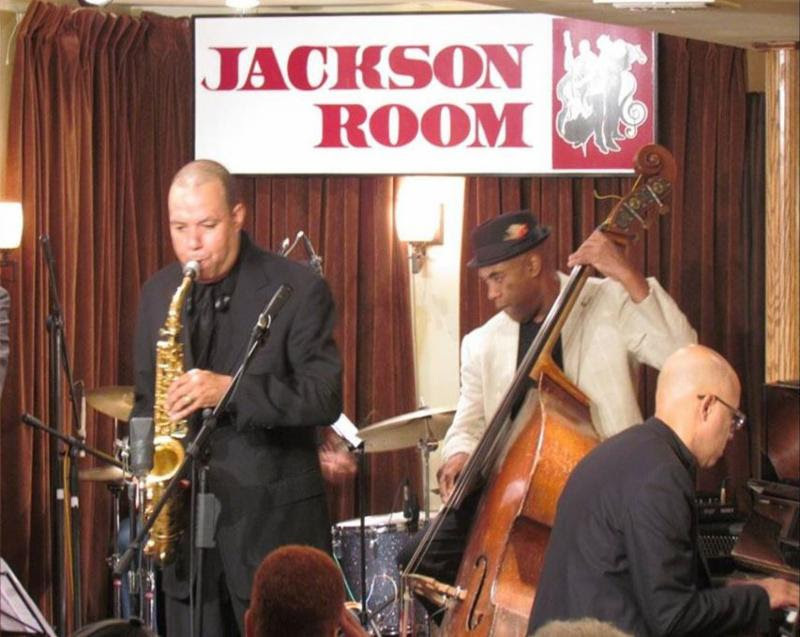 I continue to be truly thankful and elated at how you and our other supporters have responded to Jackson Room's mission to bring wicked "world class jazz to our community." We really got the Fall season going with scarily upbeat and electrifying music. In our next performance we will embody the spirit of Halloween. 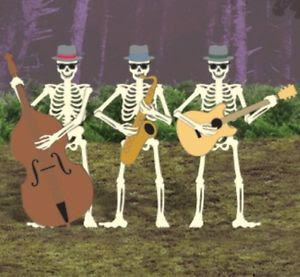 We will present a bone chilling body of jazz performances that will enliven your taste for monstrous jazz! So don't sleep on this performance and reserve your spot now. To show our appreciation for your inspiring patronage we've put together an electrifying world class ensemble of jazz artists to entertain you Saturday, October 29th, 2016. Come on out and experience this awesome performance only made possible due to your invaluable patronage. We promise to kill it! Make your Reservation now. Support Jazz in Queens by sharing this email with someone you know. Jazz UP Your Memorial Day Weekend! This has been an incredible year for showcasing diverse global talent at Jackson Room. Furthermore, we have also had an incredible house performance last month with the timely reuniting of the Ed Jackson Quartet. We thank supporters like you for coming out and supporting the quartet once again. This month we are celebrating the 1st major Summer holiday: Memorial Day! It is a time to take pause and remember the ultimate sacrifices of our loved ones in the armed forces. Many people will spend time with their families during this weekend. Just think about how awesome it would be to treat them to an enjoyable performance of electrifying jazz at Jackson Room. The quartet and I are busy preparing an exclusive memorable world class jazz performance for you and our community that evening. So don't miss this special musical celebration to help pay homage to our country's heroes. Come on out and bring your loved ones May, 28th, 2016 to our special performance "Jazz UP Your Memorial Day Weekend with the Ed Jackson Quartet!" Please remember Jackson Room performances sell out quickly so why don't you RSVP now? We've put together a unique world class ensemble of jazz artists to entertain you. Come on out and experience this important occasion made possible due to your invaluable patronage. Make your Reservation now. "Jazz UP Your Memorial Day Weekend"
Jazz UP Your Spring - Together! Hey, it has been a great year for world class performances in our community at Jackson Room. So far this year Jackson Room has featured outstanding guest performances from bands like And Jam, and music from South America, and more specifically Brazil. 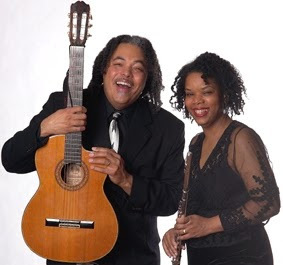 Our last performance, with the Ronaldo Andrade Samba Band, featured instruments and music from the rich Brazilian culture, and was well received by the Jackson Room audience. Those in attendance delighted and even danced to mesmerizing collaborative improvisations. Some described the performances as "high intensity and rhythmic" performances. The response from Jackson Room patrons was electric! Thank you and our other great supporters for your great responsive feed back at Jackson Room performances. 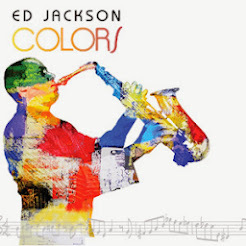 In the last few months we have showcased outstanding diverse guest entertainment, therefore it has been a while since the Ed Jackson Quartet, has been together to play for your listening pleasure. But we are back together again to perform "Jazz UP Spring," with the Ed Jackson Quartet. We're putting together an outstanding selection of music guaranteed to start heating up your Spring. Don't miss it! Be in the house Saturday, April 30th, 2016 for "Jazz UP Spring - Together with the Ed Jackson Quartet. Since most Jackson Room performances sell out in advance why don't you RSVP Now? Come on out and experience this promising performance of playing together again made possible only by your invaluable support. Don't miss it make your Reservation now. "Jazz UP Spring - Together"
We've already started off the New Year with a powerful performance by And Jam, one of the most popular groups at Jackson Room, last month. It was a night to remember with stellar performances that have become the trademark of performances at Jackson Room. Our mission is to bring world class jazz back to the community. In February we continued to "bring it" with one of the most enjoyable forms of jazz both at Jackson Room, and internationally: Latin Jazz! 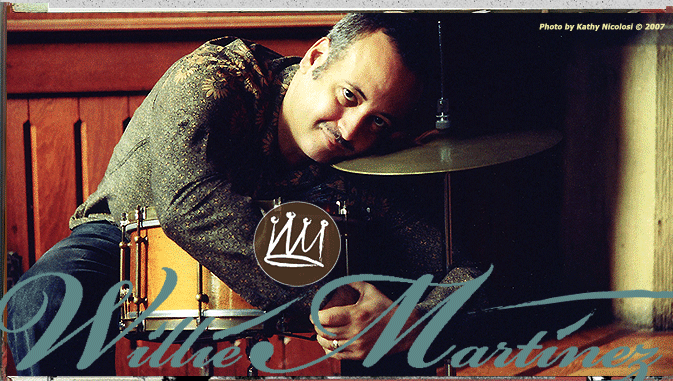 This month our good friend and artist extraordinaire Willie Martinez, brought his electrifying quartet to Jackson Room. I was honored to contribute, with his band, in a special guest performance as we give homage to this eclectic and electrifying culturally rich musical art form. Latin Jazz is a mixture of African rhythms and Latin flavor which obvious got the crowd in the grove to move. Willie, his band, and I put together what was an electrifying program for Jackson Room patrons Saturday, February 27th, 2016. It was an amazing evening. Thank those who came on out and experienced this outstanding cross cultural musical presentation. It was another SOLD OUT Jackson Room performance! Hi, last year was a fantastic year for Jackson Room performances! We have definitely cemented our reputation as the go to venue "bringing world class jazz back to our community." Our performances ended on an upbeat high note during the holidays so we want to keep the uptempo performances going this year. This is why we're having a Jackson Room, favorite "And Jam," to get this year's jazz parties started this month. As you may remember And Jam, is a very electrifying and talented group headed by the dynamic husband and wife duo Andrea and James Rohlehr. This promises to be an invigorating and entertaining evening you definitely want to enjoy. Our exclusive engagement with And Jam will be Saturday, January 30th, 2016. Come on out and experience this riveting special performance. I can't wait to see you there! Don't forget to invite or bring your loved ones or personal guests. 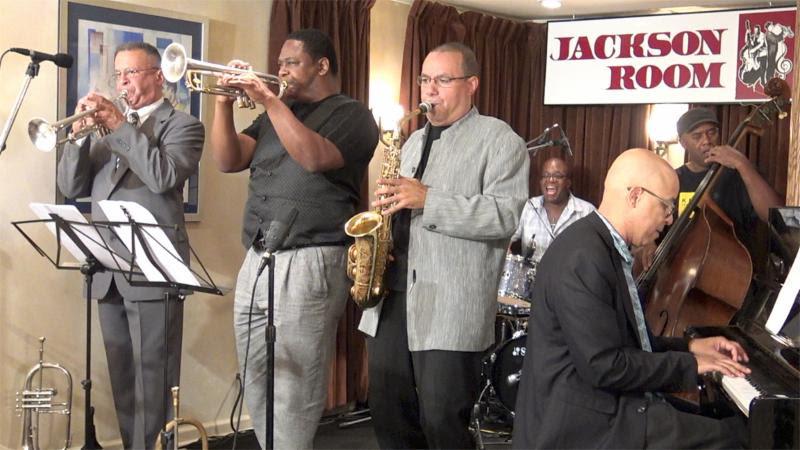 "And Jam with Special Guest Ed Jackson"
Jackson Room and Tax in the News! "Spice UP Your Spring with Latin Jazz"
"Spring Into Jazz!" Time to Bring the Musical Heat!